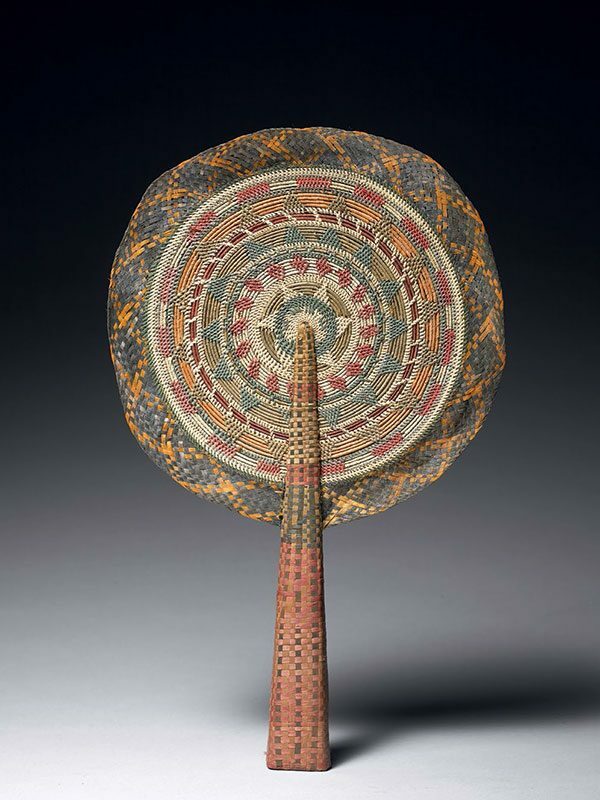 An unusual woven fan of circular shape. The fan and its handle are woven from different coloured strips of bamboo. The central part of the circular body is rigid and is made with tough strung bamboo. The outer ring of flat weave bamboo leaves the edge floppier, and generates more ventilation when the fan used. The central handle consists of flat woven bamboo wound around a wood core. The handle gives the fan strength and rigidity. The fan is rich in colour, displaying a variety of shades, including red, green, yellow, brown and blue.